At least now the Rupees max out at 9999 these days. No, not the stylish headgear favored by baseball players nor the dashing nazi-buster. Nor the shorthand for "capture". A "cap" is the maximum number of instances of something a game's engine can process. Once you've hit the cap for that thing, any other factors which would increase it beyond the cap may as well not have happened. Damage caps. Many RPGs cap the amount of damage that can be done by a single attack. Even if the character is strong enough that his attacks would do more based on the game's damage calculation system, any damage past the cap is not dealt. This one is most likely to be set with game balance in mind, but usually only succeeds in making weaker multi-hit attacks better than single strong attacks. Statistic caps. The point at which a character's statistics can go no higher. In some games, characters' stats cap only at unfeasibly high levels, but in others (notably the Fire Emblem series) the caps are reachable at normal levels and thus are a big deal. Levels themselves often have a cap as well, which may or may not come before reaching other stat caps. Inventory caps. The maximum amount of a single item you're allowed to carry. Combined with the Hyperspace Arsenal, this can create weird situations, such as the ability to carry 99 Potions and 99 Hi-Potions, but not 100 Potions and 0 Hi-Potions. Also applies to extra lives and money. Another variant, common for Grid Inventory, lets each slot hold limited amount of objects, and the number of slots is limited, but you are allowed to have multiple slots with the same kind of item. Yet another variant is carrying capacity, where you may have a maximum weight/size of items you can carry, and items have different weight/size. See Inventory Management Puzzle for details. Time caps. In games or situations in which you are being timed, the time usually has some upper limit at which it stops counting. The Paper Mario games stop counting your time at ninety-nine hours, fifty-nine minutes, fifty-nine seconds, for example. Usually has no effect on gameplay, unless the programmers royally screwed up (think the Berry Glitch from early versions of Pokémon Ruby and Sapphire). Score caps. In older games that kept score, it's often possible to amass a score higher than the game can track. This is especially possible in games from the Atari 2600 generation, since they can go on without end if one is a good enough player. Reaching the maximum score in a given game was a point of honor among gamers. 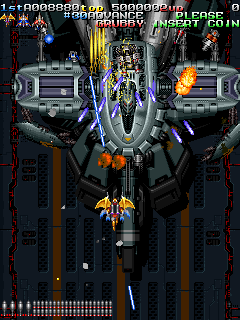 Among fans of Shmups, this is known as a "counter stop," or "kansuto" in Japanese. Combo caps. Many fighting games which count the number of hits in a combo will stop counting at some point, 99 being a popular limit. Unit caps. The maximum amount of units, either of a specific kind or all together, that you can have on the field at once in a Real Time or Turn-Based Strategy game. See Arbitrary Headcount Limit for more details on this. Designer Imposed Cap: A cap deliberately set by the designers, usually to keep play balanced. For example, you might be limited to carrying 15 bombs so you can't plow through the entire game throwing bombs at everything. Interface Induced Caps ("all nines"): These are caps of 9, 99, 999, 9999, and so on. This is very rarely a hardware limitation (see Hardware Imposed Caps above). In the case of Interface Induced Caps, the cap is imposed for the space it takes on the status or inventory screen. For example, the designer might find that you should be able to hold about 1000 gold, but this means that it will take up 4 digits on the display, so instead they will make the cap 999. This was more important in old games, where the space taken up by each digit was a fixed space that was often quite substantial, so it was poor form to waste it on a "1" that would only appear when the player had 1000 gold. In rare cases, the display might have this cap while the actual number doesn't, resulting in a situation where you might spend 10 gold and still see that you have 999, because you actually had 1,009 or more to begin with but it still showed as 999. In new games, the extra space is usually readily available (as seen in this article's image), but the "all nines" cap is more intuitive for long-time gamers and is used often to this day. Note that it can overlap with the hardware cap, as increasing it from 9,999 to 99,999 crosses the 65,535 barrier. The display gets messed up as digits for the overflowed counter "run into" some other information on the display. When a game or display error is caused by the level number (or something directly affected by the level number), and makes it impossible to continue, it's a Kill Screen. In gaming, 'cap' as a verb can also be short for 'capture'. But that's not important right now. See also Arbitrary Headcount Limit, Scratch Damage, and Pinball Scoring. Overflows can easily be Good Bad Bugs. The later Zelda games tie your money cap to the size of your wallet. Collecting a bigger one will allow you to carry more money...not that you'll need it, generally. Well, there are some useful items that are actually sold for more than your standard wallet can hold. The rupees themselves are still worthless, but you need the bigger wallet just to buy it. The Legend of Zelda had a money cap at 255, with no opportunity to increase it. In The Legend of Zelda Majoras Mask, the banker in Clock Town will hold on to your Rupees so you can have more available than your wallet can carry. But once you reach 5000 Rupees, he himself will refuse to hold any more. The DS Castlevania games have hard modes that will let you set a cap on how high your max level will reach. Deadly Towers has a money cap of 250 Ludder, which is annoying since one important item costs 232 Ludder. The Guardian Legend has an extreme example of this. The game will crash if you max out the score. This is especially bad, since the game gives you life-increase bonuses when you reach certain plateaus. Bloodline Champions has a maximum amount of health that a bloodline can regenerate from healing abilities. If their health goes below that, it cannot be regained aside from using the impractical-near-opponents Bloodline Medallion. The arcade Bad Dudes capped your score at 999,990. As did nearly every other Data East game of that era; it was just really easy with Bad Dudes (pretty much guaranteed if you played all the way through 1-player). It was possible in Sly Spy if you were willing to spend some time blowing up respawning mines. The arcade Ninja Gaiden (a.k.a. Shadow Warriors) capped at 999,900. However, because the score reset when you continued, this was only possible if you...er, found some method of not running out of time, then killed tons of river monsters (the only respawning enemies in the game). It might seem counterintuitive for a racing game, but going slowly in a Mario Kart 64 Time Trial will result in you hitting the time cap. The game's engine will not count any higher than ninety-nine minutes, fifty-nine-point-ninety-nine seconds (although subsequent lap times are still counted). Super Mario Kart capped your time at 10 minutes and stopped moving after that. Mario Kart Wii loops the timer after a while, allowing you to get insane times by waiting a few days with your Wii on and crossing the line finish just as it passes 0. F-Zero GX has a record time cap: if you get a low enough time on a course, it will not have an internet ranking password for it; i.e., Big Blue Ordeal won't give you a password if your time is under 1'20". How are such times possible? You exploit hidden checkpoints to trick the game you're going all the way around the course when in fact you're just going circles around the finish line. Wangan Midnight Maximum Tune 2 has you collect a star for every opponent for defeat in versus mode. The stars cap out at 3,999. Interestingly, once you're over 2,000 stars, a fourth-place finish in a four-player battle will remove a star. Tokyo Xtreme Racer Zero caps your speed at 263 mph. Tokyo Xtreme Racer 3 caps your money at 99,999,990 credits. Then there's a boss that, thanks to the developers not adjusting its money requirement for the US version, requires more money than this cap, making her impossible to challenge. Since she, along with the rest of the first 599 opponents, must be defeated to face the Final Boss, the game is Unwinnable without cheating. Initial D Arcade Stage has a points cap of 16,777,215. A bug in the early version of ID:AS Ver.2 only protected against an underflow for 1000-point losses in Bunta Challenge mode, and if the player lost 2000 points at once, the counter could roll under and loop around to 16.77 million. More a Bragging Rights Reward than anything, since you only needed 900,000 points for full tune. And of course, since the requisite is beating the first 10 levels of Bunta Challenge, it's safe to say that a lot of players ended up spending more money than they would've reaching full tune honestly. In Gran Turismo 3, there's a glitch where if you do a wheelie with a tuned-up Escudo, the speedometer jumps to 2147483647 and locks up the game. Then there's GT5, which has a money cap maximum of 20,000,000 credits—compared to previous iterations when you could have as much as hundreds of millions of credits. In a similar way, in Gran Turismo 2 you can't have more than 100 cars, which ruins the Gotta Catch Em All self-imposed challenge. The Super Smash Bros.. series sets the damage cap at 999%. If you haven't already gone flying offscreen by that point, you certainly will now. That said, the game calculates the knockback caused by an attack before it sets your damage back to 999%. So you can have more than 999% damage, if only for a sixtieth of a second. The Super Scope in Melee can be abused to generate an infinite amount of ammo, which is most likely due to an overflow. Mortal Kombat always had some way of capping off a combo after a certain amount of hits, usually by knocking the player back as the last viable hit lands. It wasn't perfect, though, as only certain attacks would trigger it, and only if done almost immediately after the last one landed, meaning if one timed it right, they can get into some crazy infinite combos. Mortal Kombat 4, though, subverted this by allowing the player to remove the cap (called the "Maximum Damage" in-game). Marvel vs. Capcom 2 actually had an arbitrary 50-hit limit for combos. Suffice to say, tournament players quickly found ways to break that limit. Descent allows you a maximum of 5 Mega Missiles (10 in Descent II), but you can only retrieve 3 after you die. In Borderlands, the amount of money you are carrying is listed as a 7 digit number, but you can carry much, much more. Especially if you're playing the General Knoxx DLC, where you can find Vendor Trash that sells for millions. However, if you exceed $2,147,483,647 it will truncate into negative billions, which messes up your challenges. The King of Dragons for the SNES has a lives cheat which gets one 99 lives by taking advantage of the combined life pool. A single player would use up the standard allotment until only one life remained. While the continue counted down, a second player would join, using the remaining life credit. The first player would then choose to continue, causing the life credits to wraparound from 0 to 99. In Time Crisis 2, your combo is capped at 99 hits. Time Crisis 3 lets you get into the triple digits, and it is possible in Time Crisis 4's Stage 1 Area 2 to have 999 hits. The Pac-Man arcade machine had a maximum number of levels of 255, imposing an unintended score cap of 3,333,360. On level 256 a variable overflow causes a final glitched level which cannot be beaten as almost half of the dots needed to complete the level are missing. Getting the max score entails eating every ghost with every power pellet (until the ghosts stop turning blue), and eating every fruit for each level. Then you need to have 5 lives (another cap) going into level 256, and collect all 9 dots on the right side with each life (unlike non-glitched dots, these ones regenerate each time Pac-Man dies). About 18 months after the game was first released, City of Heroes capped the number of enemies you could "aggro" (hold the attention of) at once. Although this seems purely beneficial, the cap was still well above what the more delicate character types could withstand, so the actual purpose was to keep the tankers from being able to lure obscene amounts of critters into a confined space for easy disposal. Speaking of City of..., while the individual characters had caps on how much buffing would affect them (example, a Brute could not deal more than 850% base damage with an attack), the individual damage dealt wasn't capped. This was proved when a bugged power was dealing 10x the target's hit points in damage. The game had to switch to using scientific notation to express the damage dealt. There was also a cap for how much damage a player can take in one hit. Assuming you start off with full HP, nothing could kill you in one hit. You can be brought down to 1 hp, after which anything can kill you, but not killed in one attack. There was also a limit of 2 billion influence (currency). This was arbitrary, but the integer limit is just over 2 billion (see the World of Warcraft example below), so the devs decided to just cap it at a nice, round even number. The online game Kingdom of Loathing had an infamous example where the problem of poorly capped Global Currency resulted in the massive bug known as Black Sunday. An item called the meat vortex could steal meat (your currency in this game) from enemies in combat, but it lowered the amount of meat you had if used any other time. If you had 0 meat, using a meat vortex from your inventory caused the value to roll under, thus placing you at the maximum possible integer amount of meat, which at the time was 2^64-1, or 18,446,744,073,709,551,615. This hosed the game's economy for several months, but was eventually mostly fixed through currency sinks. The cap itself has also been lowered to 2^32-1, or 4,294,967,295. A German World of Warcraft player recently reached the cap of 214,748 gold, that is, 2,147,483,646 copper coins (that's 2^31-2). Cataclysm raises the cap to 999,999 gold; larger amounts can be stored using multiple characters. This number is faster achieved through the Statistics system. Basically, if you buy an item for 1000 and resell it for 1200 you've earned 200, but the system records 1200 "obtained" gold. When the limit is achieved, the number loops to negative and grows back to positive. There are many other caps as well, the most obvious being the level cap. Honor points (which are currency for PvP items) also have a cap, which is particularly low, and many other items that serve as currency are also capped. Another cap: You can only create 10 characters on the same server, and have a total of 50 characters in your account. Also notable are the character stats, most of which have their cap defined as the point where getting the stat higher is entirely pointless. You can't have more than a 100% chance to hit, after all (although excess can still be useful if the character is affected by a status effect lowing hit chance). Similarly, no matter how much haste you stack, you can't reduce the global cooldown below one second, and many stats (like dodge and parry) have a "soft cap" or diminishing returns beyond which they become less effective. The damage cap, which has only been reached by exploiting glitches, is 2^29. And then there is the wallet cap of 100.000 gold on your character. Trading large quantities of expensive items requires multiple trips to the storage chests for both parties (luckily you can trade standing next to said chests) . Trading for a single item worth more than 100.000 gold is usually done by using a rare crafting material as currency, or the buying party giving the seller his rare customized armor (which the seller can't use or sell for much, but would be very expensive for the buyer to replace) while he pays the amount in several increments, with the armor returned with the last payment. Anarchy Online has a number of different caps, most related to damage. A final cap which limits the total amount of damage one single attack can do is limited to no more than 30% of the targetted player's maximum hit points. Considering the usually high amounts of damage flying around in the game, seeing 'capped hits' is more common than you think. Another cap comes into play when it comes to gaining experience points: You can only gain experience up to a maximum of one-tenth of the amount you need to level, and with the release of Lost Eden, this also applies to the experience put into research. This makes for interesting strategies applied by players to avoid experience loss as much as possible, since all xp beyond the cap is lost. In Ultima Online, getting your weight over 65535 will result in it rolling over to 0 again. Just allowing you to move absolutely massive piles of materials. Though realistically only a huge pile of ore could so encumber a player. Also stacks of items over 65535 had the same bug, including gold. In a game where the average person could earn 10000 gold an hour. For Free-to-Play players of The Lord of the Rings Online, the cap on currency is 2 gold pieces (most items in this game cost silver, and 1 gold = 1,000 silver). Buying a quest pack makes one a premium player and raises the cap to 5 gold. Removing the currency cap entirely (either by buying the privilege with Turbine Points or getting a subscription) brings the cap to 9999 gold, 999 silver and 99 copper. RuneScape has a strict item stack limit of 2147483647 due to programming. It's impossible to have a stack of items higher than that; you'll simply get a message that it cannot be done if you try. There's still ways around this though, you can have more then one stack of items by storing them in separate places so the stacks don't attempt to automatically combine. A player could theoretically store a stack of 2147483647 coins in their bank, their inventory, coin pouch and house at once, giving them 8589934588 coins in total, well above the "limit". Mario Party games cap the number of coins a character (or team later) can hold at 999. It's easy to reach this in Mario Party 3 with Game Guy mini-games which can give you up to 64 times what you wagered, but even if you win thousands of coins you can only keep 999. Pac-Man Fever has a few games where it's possible to score higher than 999, most notably Vend-A-Fruit. Interestingly enough, while the game can recognize scores higher than 999 (and will place them accordingly), they'll all show as 999 on the high score table. In Super Monkey Ball Banana Blitz, the highest possible score in the Number Ball mini-game is 9,800. The game crashes the instant you hit 9,900. Pinball machines from when score reels were introduced in the 1950s used backlights. The machine could not display more than the highest-valued one. Any game that uses score reels will usually just loop back to 0 points (sometimes going to its maximum possible value before that) if the score became more than they could display. Some games between the jump from 5 digits to 6 would have a "100,000" light to indicate that the player looped the score counter. Same with games that use LED score counters, except the cap is usually 6-8 digits. Games that use DM Ds usually can only display 10 digits before rolling over. Some games that the programmers knew use extreme Pinball Scoring can display Up to Eleven digits. The TurboGrafx pinball game Alien Crush has a score cap of 999,999,900 points. If you manage to max it out, the entire table explodes and you are given the message "Congratulations !! You are the greatest player". After that, the game immediately takes you to the high score list for you to enter your initials. Street Fighter 2 was the first (and possibly only) machine to not roll over after reaching the maximum possible score, 9,999,999,990. This is actually easier than you might expect due to the "Double Your Score!" reward (which is exactly what it sounds like). Attack From Mars rolls around at 100 billion points. If you go over that, your score will be displayed with leading zeroes, as if the hundred billions digit is cut off (i.e. 100 billion would be 00,000,000,000) but your score will display fully on the high score table and the game will keep track of scores supposedly up to 1 trillion minus ten. It also caps the bonus multiplier at 250x. The 2-D Super Mario Bros. games cap the number of extra lives you can have at 99. You might collect a hundred thousand One Ups beyond that (easily, in Super Mario World), but the moment you die, you're back to 98. The original Super Mario Bros. had a maximum of 127 lives, due to the fact that the life counter was a signed byte. Going over 127 lives resulted in actually having negative lives, and thus getting game over the next time you died. Making matters worse is the fact that the life counter was only designed to display up to 20 lives, and getting any more than that causes your life count to be represented by random letters, punctuation symbols, and/or graphical tiles. Normally this isn't such a problem, considering you'd never get so many lives through normal gameplay, except through abusing glitches. However, collecting as many lives as possible becomes pretty much mandatory in The Lost Levels, because you're going to need every single one, and the first level in the game has a great opportunity for abusing the extra life trick. The original Super Mario Bros. 2 capped at 254 ("FE"). This was actually pretty easy to get if you were at least decent with the slot machine (and ridiculously easy if you also used the unlimited coins glitch). "Thank god I got, like, w blue sky lives there!" It also didn't help that the lives counter was only displayed between stages or just after losing a life, so anyone using an infinite lives trick had to track the lives gained independently of the game interface anyway. The Donkey Kong Country series, by contrast, only caps the amount of lives displayed at 99. Collecting more will result in your lives counter remaining at 99, but the extras will still count. Presumably there's a "true" cap on lives, but it's hard to say what it is. In an example of poor design, Aladdin caps your score at 99990 points. The testers failed to take into account that a regular playthrough will hit this cap slightly after the first half of the game. The cap on Scarabs (the currency) that increases three times over the course of the game, from 10, to 50, to 100, to 200. Tricky has 5 GrubTubs' worth of energy, and Fox can carry up to 15 around with him to feed Tricky as needed, for a total of... 19 (because even though it only consumes one GrubTub of energy for him to perform a skill, he needs at least two within him to perform. Fox can carry up to 7 Bomb Spores. He may only carry 1 BaFomDad (read: 1-Up) until he buys a holder which increases the capacity to 10. Instead of pseudo-collection like with most capped items, however, he just passes through it when he can't carry any more. He may collect it later as needed... if that situation ever arises. In the Sonic the Hedgehog games, the time is capped at 9 minutes and 59 seconds, with the added caveat that you die if you reach that time. In the first act of Sonic the Hedgehog 3's Launch Base Zone, there is a way to summon an infinite series of robots and destroy them almost instantly. Do this until you run out of time several times, and you will have the maximum score and a LOT of lives (more than 200). Here's how to do it: There's an alarm near the beginning of a level that summons a flying robot. If you do a power up for a spin dash and don't release down, the robot will fly into you and be destroyed--and another will be summoned. When you destroy several monsters in succession, the score you gain goes up: 100 for the first, 200, then 500, then 1,000. After about a 14 monsters, the score goes up to a cap of 10,000 and you get a new life every 50,000 points). In Sonic 3D: Flickies' Island, you cannot have more than 9 lives at a time. The Sonic Advance Trilogy has a variation of this, as the life counter only displays "9", though you can get more than 9 lives. Sonic Generations has a point cap of 99,999 and a life cap of 99. Score can (theoretically) reach 6 digits, but getting an S rank in a stage usually means you've obtained a score of around 50,000. Therefore, it's highly unlikely (if not impossible) to break 6 digits. The original arcade version of Donkey Kong is notable for having a score cap of 1 million that is almost, but not quite, impossible to reach, due to both the high difficulty of the game and the kill screen which ends the game at level 22. Only three such scores are recorded on Twin Galaxies. Kirby's Dreamland 2 had a score cap of 9,999,990, which is possible to reach within a week or so of playing (because the score is kept unless you game over). Once you reach the cap though, anything that would add points would simply convert into one-ups, with the sound. As cool as this may seem, as you'll never worry about dying, the sound will get old after five minutes. Rainbow Islands has a cap of 9,999,990 points, unless you enter a code at the title screen which increases this cap to 99,999,990 points. In Knuckles Chaotix, the most rings you can get in a level is 255. Anything beyond that gives you 4,000 points a ring. Also, the most rings you can take into a special stage is 200. Wario Land caps your total coins at 99999. To get the best ending, you must have your coins maxed at the end. New Super Mario Bros. Wii rewards you for reaching the cap of 99 lives. Mario will take his hat off when the cap is reached. Terraria has caps for how many items you can hold in a slot, and it depends on the item. The items you can carry the most of in one slot let you carry 250, so it's safe to say coding supports up to 255. La-Mulana has caps on how many of each subweapon you can carry. The limit is 255 shurikens and 128 each of most others. The Tetris the Grand Master series has a unique kind of level cap. You gain 1 level every time you drop a piece or clear a line, but once you are one level below a multiple of 100 or level 999 (the last level), your level stops increasing until you clear a line. This seems useful at first, but causes you to waste time if you're going for a time-sensitive rank, or if the mode you're in has a torikan (a checkpoint that, if reached too slowly, yields a Nonstandard Game Over). The Panel De Pon/Tetris Attack/Puzzle League games allow you to actually set the cap, at either 99999 or 999999 points. The original only had the 99999-point cap. Hitting it in Endless mode gave you different music on the results screen. There is also a sort of cap on chains in the first game; chains are handled properly up to x13, but after that, additional hits are displayed as x? and don't award points. Similarly, combos are only displayed properly up to 30, with larger combos simply displayed as 30. In the GameBoy version, this is a hidden option for some reason, which defaults to 99999. Tetris Friends in Arena Mode caps players' ratings at 19,999. The reason for this strange number seems to stem from the game's ratings-based ranks. A new rank is awarded every 1,000 points (so players with a 0-999 rating are "Newbies", 1,000-1,999 are "Novices", etc. ), and it appears they simply ran out of rank names. Of course, the ratings are moot anyways since the entire Top 100 leaderboard is tied at 19,999, due to the ability to prevent ratings decreases entirely via Bribing Your Way to Victory. The NES and Game Boy versions of Tetris cap score at 999,999 points. The former has no caps on anything else, really. If you clear 1,000 lines, it will be displayed as A00, then B00, etc. Past "Z99" lines will make the game start using random symbols for the hundreds digit. Same goes with the counters for each piece. These counters will loop back around to 000 after clearing 25,600 lines or getting that many of a piece. The level counter will start to cycle through a pseudo-random sequences of two hexadecimal digits after level 30. The game also starts to break pretty horribly after that, requiring you to pause and resume to keep the game going. The level counter will go back to 00 after 256 levels. Tetris DX (the GBC version) caps score at 9,999,999 points. Tetris DS can display a maximum of 99,999,999 points. If you exceed this amount, it will display that maximum, but your score won't be saved. The line and level counters will cap at 999; you'll reach the cap on those a very long time before you reach the score cap. A man has essentially beaten Bejeweled 2 by exceeding 2,147,483,647 (2^31-1) points, causing the score display to go blank. The second Warcraft game had a unit editor. The maximum damage dealt by a unit and hit points possessed by a unit were 255 and 65535, respectively. Populous: The Beginning: Had a tribe size limit of 200 (or more often 199) pushing it to far above this (using an the hypnotism spell exploit) would make the game unstable. The Oregon Trail, a wretched Apple II game of the 80s, let you go hunting in the wilds to replenish your wagon's food. However, you could only carry 100 pounds of meat back to the wagon. So there was never a good reason to shoot more than one buffalo, or, in fact, anything except buffalo and large animals - why waste the bullets? Also, the total limit of all food was about 2000 pounds. There are caps on any item in your inventory. 20 oxen, 50 sets of clothing, 1980 bullets (99 boxes of 20), 3 of each spare wagon part, and 2000 pounds of food. In RHDE, no matter how many missile silos are placed on each side, only 12 can be fired from. Usually this isn't much of an issue unless you're spending all your money on silos. A lot of the strategy in Angband involves managing inventory slots, which are capped at a paltry 22. Late in the game, players usually stop collecting loot from the dungeon (unique items excepted) so that they can have a full "kit" of items that provide resistances to various attacks, and the means to deal damage to a variety of enemies. Nethack's Devteam missed one - the score caps out at 2^31-1 (=2,147,483,647 - lousy four-byte signed integers). That score's been achieved a couple of times, as has an overflow score of -2,145,868,906. As noted above, RPGs frequently cap the amount of damage you can deal with a single strike. Often this number is 9999, as in the Final Fantasy series. One of the key contributing factors to the notorious difficulty of The 7th Saga was the cap of 9 for any item in your inventory. It made healing thyself rather difficult, mind-boggling so in a game that also gave you an infinite-use health restoration item. In the original The Bard's Tale, the XP reward per battle was capped at 65535. There was a repeatable fixed low-risk battle (the barracks in Harkyn's Castle) which achieved this limit, making Level Grinding a particularly trivial task. The caps in Chrono Trigger are a bit of an oddball compared to other Square-made Role-Playing Games. The heroes' HP and MP cap at 999 and 99, respectively, one-tenth of the values Final Fantasy heroes have. However the heroes still deal damage comparable to Final Fantasy heroes, and their damage cap is 9999 (Ayla's strongest fists hit this cap with every critical). Meanwhile, the enemies that deal 700 damage on a strike are genuinely terrifying. The most terrifying attacks are actually the ones that do a set proportion of your HP, rather than an actual number. Enemies early on in the Black Omen can still annoy you by taking half your HP long after they stop being a serious risk to your characters through ordinary attacks, and the ONLY way Queen Zeal will be a real threat is if you aren't prepared for her attack to take everyone down to 1 HP, which is essentially unblockable. Hopefully, you're fast enough to heal before she kills you through Cherry Tapping. Or a full powered "Grand Dream," the strongest attack in the game. In The Elder Scrolls III: Morrowind, all attributes and all skills have a natural cap of 100. Thanks to Fortification spells and potions, however, this number could be increased above 100 for extended periods. Through a potion Fortification stacking trick, one could cause overflow errors (e.g., Fortifying STR and attacking something) and freeze the game. The stats and skills may exceed the cap in numbers, but the effects of them are capped at 100 from within the engine, so even modders can't break the effective 100-limit. The exceptions are Athletics and Acrobatics; the player can run faster and jump higher up to the 255-limit. While in game spells don't get any stronger, increasing your skill past 100 continues to make them cheaper to cast. That, however, is not true of Morrowind. The other skills do not have their effects capped at 100 (though the effect can often be hard to note), and you can jump much, much farther with acrobatics boosted to 1100 than you can with acrobatics boosted to 600. Being a vampire should will let you increase your skills beyond 100, but due to a bug you can't level up your skills if they hit 100 or higher from the vampirism given skill bonuses. Use of console commands in Morrowind lets a player set the skill levels to whatever they want. Especially hilarious is the continent-spanning jumps that come with a 9000 Acrobatics score. Dragon Age: Origins has, beside the usual inventory caps, a cap that says you can only have ten different characters saved at any time, though you can have multiple saves with each character. This wouldn't have been so bad if it wasn't for the fact that you got achievements/trophies for playing through each of the six openings, and that playing each of the expansions counted as making a new character, even if you imported your old one from the main game. The level cap is 25 for the main game, and 35 for Awakening, although you'd have to do pretty much every quest to get that high of a level. Dragon Age II has a level cap of 50, but if you do everything, you'd be somewhere around halfway there. It's possible that future DLC will offer opportunities for higher levels. The level cap for the original Dragon Quest I was 30, which you would reach at 65535(16 bits) EXP, with 255(8 bits) for the stats. In Dragon Quest II the EXP cap was raised to 1000000 for each character, but they had different experience tables resulting in level caps of 50, 40, and 35. In Dragon Quest III the maximum level for any class is the standard 99 and EXP caps somewhere over 9 million (most likely either 9999999 or 24 bits). Every game after this uses a level cap of 99 save for a few recruitable monsters. Fallout 1: The level cap is 21 (fairly realistic and requires minimal Level Grinding), skills cap at 200, and radiation resistance caps at 100% (The Glow needs total resistance or else you'll die as soon as you walk out). Fallout 2: The level cap is 99 (nigh-impossible to attain since the final level requires 4,851,000 XP), skills cap at 300 (needs either months of non-stop Level Grinding or a Lethal Joke Item you get after beating the game), and radiation resistance caps at 95% (there are so few radiation sources in the game that you can't die from it without actively trying). Frank Horrigan from Fallout 2 has 999 hit points... but if you kill him, his upper body will get up. It has 1 hp. Fallout 3: The level cap is 20 in base game (30 with the Broken Steel DLC), skills cap at 100, and radiation and damage resistances both cap at 85%. Fallout: New Vegas: The level cap is 30 in the base game (plus an extra 5 levels with each of the four DLC, for a new cap of 50), skills cap at 100, and radiation and poison resistances cap at 85%. Many Final Fantasy games have "back door" methods of exceeding the damage cap by hitting twice or more in one turn. In some games it's as simple as Dual-Wielding, while others go well beyond that. Final Fantasy II is supposed to have a cap of 99 on core stats, but the orbs at the top of Mysidia Tower award 10 points to a stat, not checking if the bonus would cause the stat to go over 99. Stats of 100 or more are displayed with the first "digit" as "A"; 109 would be displayed as "A9". Max HP is 9999, and max MP is 999. The levels for magic spells and weapon proficiencies max at 16. Strangely, you can fill the progress bar again at level 16, but the level won't increase anymore, and there isn't any notable difference between level 16 with an empty bar and level 16 with a full bar. Interestingly, Final Fantasy III, at least the DS version, doesn't actually have a damage cap. While it won't show you any more damage over 9999, you'll still do more damage. Final Fantasy IV is unique amongst the SNES games in that it allows items to stack; while each stack couldn't contain more than 99 items, you could have more than one stack of that item (but it would take up another slot in your limited inventory). The DS remake has an augment called Limit Break (not to be confused with the more common type of Limit Break) that increases a character's damage cap from 9999 to 99999. If a character in Final Fantasy VI was tweaked obsessively enough, their ability to deal damage would go so far over the damage cap (9999) that it would run into the variable's overflow limit and wrap back around to low damage. This would lead to somewhat ridiculous situations where a low-level fire spell would invoke the 9999 damage cap, but spells like Ultima or Merton would only do 100-200 damage. It was also possible for certain stats to go past 255 and wrap around to 0. This makes a character that was previously unhittable into one that cannot be missed by a monster. A glitch involving the Mantra blitz hit the 9999 cap handily... by doling out 1 divided by zero damage (which works out to 65535 on the SNES ALU). The damage cap is the main reason why the Genji Gloves is usually always considered better than the Gauntlets. The Genji Gloves allows the character to use two weapons while the Gauntlets allows the user to hold one weapon with 2 hands (doubling damage dealt). In the beginning, the Gauntlets are actually a little bit better but due to the damage cap, the Genji Gloves will be A LOT better during end game so the most players will always pick the Genji Gloves over the Gauntlets during that one event due the fact that there are only limited amount of these items in the game. And if you combo the Genji Gloves with the Offering, you can score 8 hits per turn, for up to 79,992 damage if you achieve max damage on every hit. Or maybe even more, if you equip one of the weapons that randomly casts a spell on the target. A couple of Final Fantasy VII's ultimate weapons could overflow the damage calculations - the game would compensate by inflicting insta-death on the target enemy (even the bonus bosses), which means that the Death Penalty Glitch is one of the more common ways of dealing with Emerald WEAPON. Technically breaking the cap, in Final Fantasy VII you can acquire a materia called HP<->MP, which would swap the values of the character's HP and MP. 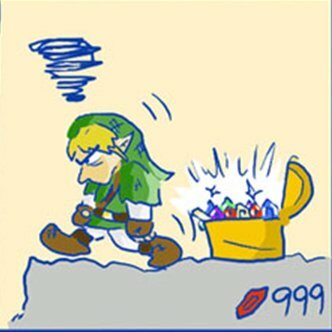 Anyone with an HP over 999 would technically break the MP limit of 999. Of course, you'd be stuck with a ridiculously low amount of HP, possibly turning the holder into a Glass Cannon. Also, the MP cost of spells was capped to 255, as seen with the Turbo MP materia. Final Fantasy VII also had a strange effect on percentage damage spells like Demi. Although the visual number was capped, the actual damage was not, so if used on powerful enemies (like Emerald Weapon again) it could be used to bring their HP down to a far more manageable level. Final Fantasy VIII also had a few specific attacks that could exceed the 9,999 damage cap. There were actually some attacks that did fall under the damage cap yet were more damaging than those that don't. This is because they could hit multiple times per turn, and it was each individual hit (not the cumulative damage from all of them) that were subject to the cap. Thus, Quistis's best attack (the Blue Magic skill Shockwave Pulsar, one hit with a theoretical maximum of 60,000 damage) is far inferior to Squall's (up to 24 hits with a theoretical maximum of 9,999 each or 239,976 total). Especially since achieving the theoretical maximum damage from Squall's ultimate attack is very doable, while for Quistis it's virtually impossible. Impressive as that is, the king here is Zell. By repeatedly putting in the weakest commands of his Duel techniques, you can get in a long string of rapid hits. Since each of these is 2 buttons long, it's possible to put in each command in 0.10 seconds according to the game's timer which ranges from giving 2 to 12 seconds. With Zell's ultimate weapon and everything else normal, he would probably come right around or right under Squall. With an enemy under the effects of Meltdown (Defense reduced to 0), Zell at 255 for his strength stat and twelve seconds on the clock, he has to potential to hit in the lower 700,000s. Give or take 200,000 to account for the possible critical hits. This has the appropriate nick name Armaggedon Fist. Source. Final Fantasy X features an exception should the player ever get a hold of (and properly upgrade) the ultimate weapons for the characters. This raises the damage cap to 99,999; allowing you to kill the final boss in one hit. Given that the caps had always had the aspect of a technological limitation, this was essentially akin to changing the laws of physics. You can also customize normal weapons to do this, but it requires insane amounts of rare materials, and the ultimate weapons are better anyway since the user's HP boosts the damage they deal. However, you can also customize armor to break the HP/MP limits, bringing them up to 99,999 and 9999 respectively. The optional bosses practically necessitated the HP boost. The Bonus Boss Neslug goes beyond the second damage limit with the Regen-like status it gains while it's in its shell, healing a six-digit amount of HP on some turns. AAAAAARGH!! And finally, if the summon animations are turned off, Anima can do 7 digit damage with her Overdrive in the International version of the game. Stats max out at 255; however, using Cheer on a character with maxed-out Strength or Defense will still raise those stats. And even with breaking the damage cap, Penance is still a Marathon Boss of legendary proportions. 99999 damage against its 12 million HP is a drop in the bucket. In an inverse example, in the chocobo race sidequest to get the sigil for Tidus' ultimate weapon, the lowest time that is shown is capped at 0.0 seconds. This has confused and frustrated some players in that you need a time of less than zero; getting a time of exactly zero won't get you the Sun Sigil, but both are displayed as 0.0 seconds on the results screen. You could always just do the math yourself, though. Final Fantasy XII has only a handful of limit-breaking attacks, mostly the Limit Break attacks for the Espers and the Concurrence attacks for the Quickenings. The strongest attack in the game, is Zeromus' Big Bang, hitting for just shy of 70000 damage. Final Fantasy XIII has a cap of 99,999 for single hits; Summons, Death and equipping a certain item can move the cap to 999,999 and there is an achievement for doing 6 digits in one hit. The Final Boss has close to 15 million HP so 99,999 is not all that high in perspective. The sequel generally has 99,999 cap on all forms of damage, with DLC-only Valkyrie Lightning being the only one with the skill to increase it to 999,999: thus, the max damage achievement is lowered to 99,999 points of damage and the last form of the final boss only has slightly over 1 million HP, with the Bonus Bosses maxing out at 15.5 million. Final Fantasy Mystic Quest had a bug where the main character can cast Cure a few times on the endboss, Dark King to increase its HP over the maximum allowable value. The enemy's HP overflows back around to about -60,000, killing it instantly. Ironically, entering the battle at a low level makes this overflow easier. Final Fantasy Tactics A2 has a level cap on new recruits. By default, a new unit's level would match around the average level of your party, but if your party's levels get really high, a new recruit's level would cap off at 30, forcing players to level grind the new character. This was intentional so that players can't try to recruit a level 99 Assassin without doing any work for it. Final Fantasy Legend characters had a visible cap of 999 on HP. However, human characters didn't get HP from levels or other internal stats; they got them from buying HP-increasing items. The items themselves were at least partially capped in their effectiveness (use enough and even the most powerful would only add 1 hp) - but could increase the value well over 999. In the second game, Humans and Mutants have a chance of their stats increasing at the end of battle, with that chance going up if they happened to use that particular stat in that battle (casting spells for Magic or taking damage for HP, for instance). They can't gain attributes past the cap of 999 HP or 99 Strength, Agility, Magic, or Defense, but a naked Human or Mutant could level to the cap and then put on armor or use rare stat-boosting items to break it. Robots don't level up permanently but can also break the displayed stat cap by wearing multiple copies of powerful equipment or by utilizing a Good Bad Bug to give them potentially infinite amounts of agility. Worth noting is that stats will loop around to 0 if they go over 255. And for whatever strange reason, some calculations involving agility only use the last two digits of it, so a character with 100 agility is slow as molasses. Also worth noting is that damage caps are completely absent here; you can do five-digit damage long before it was possible in most Role-Playing Games if you have enough strength, agility, and the game's Infinity+1 Sword. SaGa 3 just does away with trying to cap your HP (displayed as 999 if exceeded) and core stats (which still actually cap at 255 but only display as 99 if you have more). You can see someone's actual max HP if you revive them in battle; the amount of HP recovery will be displayed in full. A level 99 human or mutant will have max HP in the 2000s. Robots can just go nuts; they get stronger in the same way humans did in the first game. The DS remake (which completely overhauls the level system with a Stat Grinding system like the other SaGa games) uses your base stats as a human as the standard with a cap of 1999 HP and 99 for other stats, and other classes' stats are calculated as percentages of your human stats. For example, Beasts have 120% the HP of humans, so their HP can go up to 2399. They have 90% strength, so their max strength would be 89. These are only the base stat caps; they can be exceeded with equipment bonuses. The first Baldur's Gate had an XP cap of 81,000 (level 6-8, depending on class). The official expansion Tales of the Sword Coast raised it to the 167,000 mentioned above, allowing most classes to gain 1-2 more levels. There are several cap removers to be found on the 'net (one by the original dev team! ), and it is trivially easy to do yourself if you know which file to edit. (xpcap.2da) This was almost useless though, as the game didn't implement any of the higher level spells or abilities. * In Kingdom Hearts Re:coded, the level cap is 99, Strength, Magic, and Defense caps at 200, and HP caps at 400. Also, the most Munny you can have at any time is 999,999. The first Phantasy Star, being an 8-bit Master System game, had some classic ones. Meseta (money) capped at 65535, easy enough to achieve late in the game when there is nothing left to buy except some occasional healing. Also, no monster had more than 255 HP, the final battle is actually implemented as two monsters but their HP isn't shown. Phantasy Star IV had a glitch that served as a rather brutal Level Cap: Any levels gained past 99 actually decreased your stats. This is, incidentally, why hunting for the Infinity+1 Sword in Skies of Arcadia is a fool's errand. By the time you've fought enough battles to qualify for the Sky Fang, Vyse should easily be capping damage with the weaker—but easier-to-get—Vorlik Blade, so the extra attack power is usually irrelevant. Level 5 tends to inflict rather obnoxious caps on immediately-beneficial items which are made all the more jarring by the apparent lack of caps on anything else in your inventory. The worst offenders by far are Dark Cloud 2 and Rogue Galaxy: In RG, you can store 99 of anything in your warehouse, and carry up to 99 of the various materials needed for Item Crafting or unlocking abilities, but healing items have much less forgiving limits. DC2 is even worse: you can carry hundreds of sacks of flour...but only 20 loaves of bread. On the subject of Dark Cloud 2: Item caps range from 999 (Georama materials, Crystals, fishing bait), to 20 (Repair Powder, healing items, most attack items), to as little as 3 (Resurrection Powder). The HP cap is 255 for both characters, although there aren't enough Fruits of Eden in the game to get both of them to 255. Each weapon can only have so many points in the 10 different attributes, but their best weapons can have up to 500 Attack, 99 Durable, and 250-300 for the other 8 attributes. Mass Effect 1—you can't hold more than 999 nano-gel units, and you can't hold more than 9,999,999 credits (which, toward the end of the game, you may not have that much trouble acquiring). Note that the developers set the initial limits much lower, to get these limits you need a PC copy of the game and make a few changes to a configuration file. Persona 4 caps the possible EXP gain from a single battle at 65535, but the yen earned from a single battle can range into the millions. The Pokémon games don't generally have a lot of caps existing for programming reasons - there are no limits on damage beyond the practical limits on legal values that can be plugged into the damage formula, for instance, and the various caps on levels, EVs/stat experience and so on are deliberate gameplay features that impose practical limits on visible stats at the maximum level 100. However, in the first two generations of Pokémon games, battle stats (counting in-battle multipliers) were capped at 999, and in fact there was a glitch that made it possible for a stat to overflow that value in the case of a Marowak holding the Thick Club item (which doubled its Attack stat separately from ordinary stat modifiers) that used the further Attack-raising move Swords Dance twice. While for any ordinary Pokémon using Swords Dance, the game would simply let the Attack stat maximize at 999, the programmers forgot to take into account the possibility of Thick Club Marowak, resulting in the possibility of 'raising' your Attack to a very low number. In the first-generation games, the gameplay time capped at 255 hours and 59 minutes, while in the later games it is 999 hours and 59 minutes. Hacking the game reveals that (at least in the third generation), the stats can safely be at 65535. This makes sense because 999 would require at least 10 bits, but data is stored in bytes. So this would be two bytes minimum (16-bits). So even if you had a 999 Attack Marowak, unless the programmers deliberately checked for it, you'd end up with a 1998 Attack Marowak. Although the circumstances are functionally impossible, a level 100 Shuckle can potentially deal the most damage in one single attack through the use of numerous stat boosters, by using Helping Hand, the Metronome held item, Power Trick, a Skill Swap to Pure Power or Huge Power, and the Defense Curl/Rollout combo. Also, Shuckle's partner must have the ability Flower Gift and the weather must be sunny. On the 5th impact of Rollout, if used against a level 1 Ledyba or Yanma that have been hit with negative Defense modifiers (such as Screech), it can deal 213,896,052 damage with a critical hit. That's around enough to KO all 649 Pokémon at once dozens if not hundreds of times over. Hacking a Pokémon to have the maximum values possible for each stat as well as other enhancements (items, critical hit, super effective, etc. ), the cap is well over 471,000,000 points of damage. Talk about extreme overkill. In Generations I-IV, the money cap was 999,999 Poké Dollars. It was raised to 7 digits in Black and White. In Pokémon R/B/Y/FR/LG, a bike costs 1,000,000 Pokédollars, which is one over the player's money cap. You have to get the coupon to obtain it. Similarly, in Pokémon G/S/C and their remakes, someone on Route 32 will try to sell you a Slowpoke Tail for 1,000,000 Pokédollars; you will never be able to afford it, and it's useless anyway. The first three Generations allow you to carry 99 of each item. Generation IV and onward allow up to 999 of each item. In Pokémon Mystery Dungeon, if an opponent in a dungeon is attacked the damage taken will appear as minus (number) above their heads. The highest number that is shown in the dungeon is -999 in red, but on the text screen below it will say the real amount of damage taken (ex: Caterpie took 1043 damage!) You can get pretty strong in those games. Resonance of Fate has an item cap of 999, and a level cap of 300. There are three categories of weapons (handguns, machineguns, and throwing weapons), each with a level cap of 100; a character's total level is the sum of the levels of each weapon type. Super Mario RPG has some very low Caps for an RPG. Coins cap at 999 (some items sell for more than half of that) and levels cap at 30 (which takes 9999 exp to achieve). However, the damage cap is equivalent to most Final Fantasy games at 9999, which can be done with a well-timed Geno Whirl, which is really over the top considering almost no other attack can break three digits. The Beetle Mania Mini Game has a score cap of 99,999,999. Secret of Evermore had a cap of 65000-someodd on it's stats. How do we know this? Because a glitch in the programming which makes the game save buffs but not the effects thereof could be exploited to make your stats wrap under and flip around so that you're nigh-unstoppable so long as you don't level up much. Star Wars: The Force Unleashed has its own currency for upgrading force powers, stats and learning new attacks. If you manage to buy every upgrade and still play until you get around 80/90 points (it differs from player to player) you enter a mode with the Fan Nickname UNLIMITED POOOOOWWWWAAAAAAAAAAAHHHHRRR!!!. It rewards you with unlimited health and unlimited force energy to do even more insane actions. The same thing occurred in Tales of Symphonia: Dawn of the New World, but the cap was 999,999. Since it could be easy to string together a large combo, which on higher difficulties resulted in higher EXP multipliers for said combos, resulting in 100 times or more being moderately trivial, even in boss battles. Combine with New Game+, 10x EXP, and you get bonuses much higher than the standard EXP for most any enemy that lasts long enough for a good combo (which even then can be a while since juggling prevents enemies from dying). The Damage dealt by attacks has a funky cap—in theory, it's 6,553,500 for any given hit, which is far more than the Max HP for any enemy in the entire game. In practice this won't kill the enemy—instead it will reduce their HP to 0, and the next hit will do them in. Once above 32,767, the DISPLAY for damage becomes negative. Once above 65,535, the display of damage DISAPPEARS. And it's quite possible to do this: Grind enough kills with the Devil's Arms and use a sufficiently strong special attack and you'll do huge damage. In Tales of Symphonia, the EXP readout at the end of battle will only go up to 65535, and any more will cause the counter to roll over back to 0. However, you still gain the 65536+ EXP and level up properly; it just doesn't report correctly on the victory screen. In the Willow Licensed Game for the NES, the level cap was 16. The World Ends With You lacks a damage cap, and as a result, damage from strong enough attacks can overflow and heal the enemy! Everything else however, is capped. 100 levels, 100 attack and defence, 9 of any given item, 99 of any given mastered pin, 200 unmastered pins (although you can hold more until you actually go look at them), 999 bravery, and 9999 HP. The game also lampshades this in the wallet descriptions, such as "Holds up to 999,999 yen, and not one jot more!" and "Can hold exactly 9,999,999 yen. What are the odds!?" In the original PC-88 version of Ys I, and its Windows PC remake, your level cap was Level 24 at 65535 EXP, resulting in the battle with Dark Fact being very long and hard. Ys I and II for the TurboGrafx-16 had a different leveling scale and was capped at 99999, making the Fact battle much easier if you level-ground enough. The Inazuma Eleven series limits you to carrying 99 of any given item. However, unlike most examples of an item quantity cap, further duplicates are not simply discarded or lost. Instead, they're automatically sold, and the game will report you gaining the sell value of the item rather than the item itself. On some versions of Star FOX 64, the highest score you can get on one stage is 511. The easiest stage to do this on is Area 6 in Expert mode, where you can exceed the medal score by the time you hit the checkpoint. In other versions, using a cheating device to get a continuously increasing kill count could cause the numbers of the counter to start spinning. It will register as 999 at the end of the stage, however. The highest composite score obtainable on Geometry Wars Galaxies is 26,843,545,575—or [(2^30)-1]x25. Touhou games usually have a cap of 9 lives and 8 bombs. If a tenth life is earned, it's turned into an extra bomb instead; if a ninth bomb is earned, it's simply lost. (Some exceptions below.) Earlier games also capped shot power at 128 and later games had a different cap; any further power items were immediately converted to a different type of item, usually worth bonus points. Phantasmagoria of Flower View's Extra Mode somewhat averted this by simply making it impossible to earn a tenth life - the player has to start with one life, and no extra lives were awarded after the 8th one. Mountain of Faith also had a similar cap - the player has to start with exactly 3 lives, and it is only possible to gain 6 extra lives (3 in the Extra Stage). A tenth extra life in Subterranean Animism appears to be simply lost, without being converted into a bomb. The manual for Perfect Cherry Blossom also states that there's a score cap of 9,999,999,990, and a Cherry Point cap of 9,999,990. But given that the world record score is just over 3 billion and nobody's ever gotten close to 2 million Cherry Points, the caps essentially have no effect on gameplay. The Cherry Point counter does start to glitch up cosmetically with 7-digit values, though. In The Embodiment of Scarlet Devil, there is a limit of 640 bullets onscreen at once. Even when facing Bonus Boss Flandre Scarlet, this isn't a problem (though And Then Will There Be None? can hit the cap during the late part of the first phase), but if you install one of certain fanpatches that make the game a lot harder, it can cause some of her attacks to exceed that limit and look rather odd. Imperishable Night also hits the bullet cap on rare occasions, most notably during the Last Word Saigyouji Flawless Nirvana. The PC-98 games roll over very similarly to Battle Garegga below: With scores of 100,000,000 points or more, the ten millions digit will be replaced by letters: "A0,000,000" is 100 million points, "B0,000,000" is 110 million points, and so on. Highly Responsive to Prayers has a 7-digit score counter; if the player passes 10,000,000 the counter rolls over, but the full score is still stored and is displayed at the evaluation screen at the end of the game. Shoot the Bullet can only display individual picture score values up to 999,990. Higher values glitch up the display (although they're still added to the total correctly). Undefined Fantastic Object initially had a Game Breaking Bug where it would crash trying to display 10-digit scores. This was patched, but the score counter still displays incorrectly if your score is over 2,147,483,647 (231-1), instead displaying your score minus 4,294,967,296 (232) and replacing the negative sign with an "x". Scores do display correctly on the high scores leaderboards and replays menu after the patch, though. The maximum score in the arcade version of Mars Matrix is 999,999,999,990. The Dreamcast version adds an additional digit. Battle Garegga rolls over oddly: the score counter has 7 digits, and when you achieve what is supposed to be 10,000,000 points, instead of the score counter simply maxing out at 9,999,990, it instead continues rising... but now the millions digit is a letter instead of a number, so a score of 10,000,000 will read as "A,000,000," 11 million is "B,000,000," and so on. The world record is somewhere around "G" million points. Urban Legend of Zelda time: the early Asteroids arcade machine would apparently progressively slow down and grind to a halt if you collected enough lives, as the computer drew a little ship in the corner of the screen for each life you had, and would naturally take longer to draw more of them. Apparently there was also a limit of 30 asteroids on the screen at once (32 objects, minus one for the player ship, minus one for the enemy ship? ), so if you started with enough and shot them in the right order, some of the larger ones would only leave one smaller one behind instead of the usual two. Even though the scores can get ridiculous in Giga Wing, the cap on score is in no danger of being hit (the world record of 291,252,468,839,040 points is still a far cry from the cap of 9,999,999,999,999,990 points). However, the cap on your score multiplier is 49,999,999, which can very well be reached by a skilled enough player. The original version of Do Don Pachi Daifukkatsu capped score at 99,999,999,999 points. This could be reached by many players on the first loop of a two-loop game. Version 1.5 which came out about a month later added two digits to the score counter. Mushihime-sama Futari versions 1.01 and 1.5 have a score cap of 3,999,999,999 points. The Black Label version averts this. However, the Xbox360 port once again has one; it is possible to reach 9,999,999,999 points in Arrange Mode. Guwange has a score cap of 99,999,999 points, which has been reached. Galaga can only display 6 digits for the first player, but can display 7 digits on the second player's side. Either will roll over when it exceeds its limit. For this reason, very skilled players will play on the 2P side so they don't have to keep track of the millions. Also, for whatever reason, extra lives stop being given after 1,000,000 points. Fantasy Zone caps score at 99,999,990 points, which can only be reached by looping the game many times. The stage counter also stops at 99, which can be reached on the 13th loop. However, the game's Nintendo Hard; not many gamers can clear the game even once. Battle Bakraid originally capped the score at 63,999,990. On the Unlimited Version, which removed this limit, expert players have scored nearly twice as many points. In the SNES SimCity game, an error in the tax screen allowed a player's money to drop below zero, which instantly pushed it to the maximum value (like the Kingdom of Loathing bug), which was truncated to $999999. The"Million-dollar cheat code" works on this principle. First you spend all your money, including on something that generates expenditures. Next you reduce the tax rate and expenditures on the tax screen to 0%. For some reason, holding the L button prevents you from gaining/losing money from the fiscal budget at the end of the year; when you go back to the tax screen and increase the expenditure rates but keep the tax at 0%, you'll get a net loss. Once you release the L button after the calendar rolls over to January, you'll have a negative bank balance and the error mentioned above takes effect. The PC version of SimCity 2000 had a similar bug in the calculation of loans. By deliberately ruining your credit by taking out horrible loans (25% APR!) you can convince the game to offer you a loan with negative APR. As this just gives you more and more money, you can very quickly get more money than you can ever spend. If you take out several of these loans, you can hit the money cap and find yourself slowly cycling between negative money and tons of cash. SimCity 3000 caps your maximum money to §9,223,372,036,854,775,807 (§2^63 - 1). Reaching such an insane amount of money so far has only been accomplished with the money trainer, but because the game stores money in the memory as a 64-bit signed integer, if you add one single simoleon to your coffers, your money will roll back to -§2^63, and you'll be instantly kicked from the office. Of course, with all that money, it's not like you're ever gonna need a positive balance again. The original Railroad Tycoon had this problem too; don't ever let your cash on hand go over [currency unit dependent on region] 30,000,000 or it'll go that far into the red. A more "game design"-y cap in the SimCity games comes from demand caps: limits that stifle demand as your city grows, with relief from the caps generally provided by parks & rec (for residential) and connections/ports (for commercial and industrial). The original Escape Velocity game had a cap on the amount of ships in a star system; this meant that, if you filled that number up with your own escorts and fighters, you could then command tribute from planets - who, not being able to send out any of their defense fleet, were forced to surrender. All you had to do was ask twice. SimTower had several annoying and arbitrary number-of-instance caps: the one most commonly felt was the limit of 63 stairs/escalators, as stairs and escalators were among the most effective ways to ease the perennial elevator congestion. Trauma Center: Under the Knife had a cap for the amount of incisions that the Kyriaki GUILT strain could inflict on a patient. After 9 or 10 cuts, it would stop slicing the patient's organs apart so you were free to kill it pretty easily as long as you can keep rubbing them with antibiotic gel and jabbing needles into the patient. Strangely enough, this only seemed to affect the Kyriaki because other GUILT strains could inflict countless incisions on the patients. One ridiculous example of this is Harvest Moon DS, which features several mines that go deeper and deeper. The second mine has 255 levels. The third has 999. The fourth has 64,535 levels. In the Outer Ops Mini Game in Metal Gear Solid: Peace Walker, damage has an RPG-style cap of 9999. However, Metal Gear ZEKE is capable of breaking the damage limit, and can deal up to 99999. In all Tenchu games, there's a cap on the total number of items you can carry into any stage, as well as specific cap for each item that limits how many of a single item you can pack along for the ride. Most Nippon Ichi games are notable for having nigh-unreachable damage caps (if you grind hard enough, you can eventually inflict millions, if not billions of points in damage. Eventually they can get so high that the game has to list them by K's rather than numerical digits), and rather high level caps, easily going into three and four digits. in fact, most Bonus Bosses in the Disgaea series are at least at level two thousand, and it's very possible to bring playable characters' to 9999. The true Bonus Boss from Hell, Baal, originated as a level 4000 badass. Nowadays he's a level 9999 badass with hitpoints in the billions, and the game gets around its caps by making you fight 5 of them at once. The rear of the strategy guide by Double Jump, legendary for writing writeups on how to tweak Nippon Ichi games well past the breaking point, has a screenshot of someone doing 35136040556 damage. That's 35 BILLION. The game's shorthand shows this as a floating "35136M" over the poor sap's head getting hit with that. That's nothing. How do you like 3 trillion damage? Upped up by about four hundred times. (The last digit of number went off-screen - hence the X in title). Also note that they are doing it with tennis rackets. And Disgaea 4 has topped even that!! Over 180 QUADRILLION!!! The damage cap in Disgaea 4 appears to be (264-1)/100 = 184,467,440,737,095,516. Finally, in Disgaea 3 they make the level cap meaningless. If you gain enough EXP to level up after 9999, your stats continue to increase. In Disgaea 3, the stat cap for any given stat in an item is 1863514, which leads to the best equipment being perfectible through carefully planned Item World trips. The Disgaea games limit the amount of Mana you can hold to 10,000,000. If you have exactly that much, the game displays it as "Lots of Mana". If you win 10 million or more HL (currency) from a battle, your winnings are displayed as "Super Bonus HL". You can sort of estimate the actual amount by how fast it counted up to "Super Bonus". By the time you're winning that much money though, there's nothing really useful to spend it on. La Pucelle, the predecessor to Disgaea, would properly display your battle winnings if you won more than 10 million purica though. Disgaea is also notable for averting the "usual caps" for exp. Most of the stored information about a character has 32-bit size (4294967295 cap), while exp cap is much higher (more than 17 times over in the second game), necessitating use of 64-bit size. The stats in the first game are stored as a fixed point decimal, with the variable representing hundredths of a point, so the cap is the maximum value of a 32-bit signed integer divided by 100 (about 21.47 million). Get any more and this will become negative. The ports fix this and cap stats at an even 20 million. The sequel uses unsigned variables for the stats and the caps are raised to 40 million. The trailer for Disgaea 4 makes it a point to advertise this fact blatantly as soon as possible. Manifisto Declaration No.1: Disgaea promises to deliver mega damage and ultra-high stats. Level 9999? 100M damage?! No problem! NO PROBLEM!! Take a dump on the face of common sense. This is Disgaea 4! X-Com has a rather annoying one. Transports carry 80 items of equipment. It doesn't matter how big each piece is, they all count one - a pistol magazine takes up the same amount of space as an Auto cannon. UFO Alien Invasion has a cap on external installations (radar towers, SAM sites etc), which is raised by 3 for each new base with Command Center. Which is expensive, is one of the slowest to construct buildings and itself requires powerplant, of course (and is needed to use most base functionality beyond storage/barrack, too). Twisted Metal imposes a different cap on each weapon pickup, so the player can only store an specific amount of each different missile or weapon. These are all based on the weapon's strength (10 Fire missiles, 8 Homing, 5 Power, etc.). Dwarf Fortress have adjustable caps, mostly on population, domestic animals and plant seeds - to limit the resource consumption of a running simulation. Grand Theft Auto: San Andreas has a 9 digit money counter. If you go one dollar past $99,999,999 (which typically involves doing Vigilante Missions past Level 200 or grinding at the casino), it rolls over and adds another digit. No word on what happens if you try to go past $999,999,999. In Minecraft the majority of items/blocks have a maximum stack of 64. A few have a maximum stack of 16, and before the release of Beta 1.8, food had a max stack of 1. This is slightly different than most examples, as instead of being a maximum holding capacity for a particular item, you can carry as many stacks of the item as will fit into your inventory. In ZZT, your health, score, gems, ammunition, and torches are all limited to 32767. Although the #GIVE and #TAKE commands correctly implement the limits, if you collect a gem which was placed directly on the board (collecting gems give you health too) when your health is already 32767, it is changed to -32768 and you instantly die; similar things with other items placed directly onto the board (although only gems can kill you in this way). OHRRPGCE has a bunch of built-in caps, although most of them can be decreased in the editor (although not increased). Inventory items are capped at 99 although it can be changed for individual items; if you collect more, they fill up another inventory slot if one is available. The Tabletop Game RPG based off of the Final Fantasy series even has a damage cap (of 999), simulating the cap of the console games. The Rules Cyclopedia caps the damage that high level magic-users can deal with their attack spells at twenty dice. The same cap is used for fall damage, 1d6 per 3m fallen to a maximum of 20d6. This gets hilarious around lvl 10, when characters could fall from any height and live with a strict rule interpretation. Hence Spelljammer rule on reentry - after that, every round of falling adds 1d4 heat damage, doubling each next round, and the maximum-force impact itself falls under "massive damage" rule (save or die). What's really fun is the epic spell Nailed to the Sky (from a much later edition), which puts the target in orbit. Though there is technically no cap on level in D&D, the rules balance tends to erode after level 20. The Epic Level Handbook extends this to about level 40. 4th Edition caps the levels at 30. Sort of. The mathematics in 4e is linear, so you can actually extend it all indefinitely and everything remains relatively well balanced, there are even enemies that are over level 30, although they're all gods or god-like beings. PCs who hit 30 get to finish whatever it is they are doing and then are consumed by their Epic Destiny which, more often than not, results in ascension to godhood. They do, however, run out of powers and such. Insert auto-power generation programs! There were periods where the Camarilla, White Wolf Publishing's official fan-club for World of Darkness live-action games, put damage caps on PCs in sanctioned LARPs. This was one of many fixes attempted to make the tabletop rules work in live-action, although in practice mid-powered characters hit cap very easily and high-powered characters were basically unaffected by any penalties. Kid Radd plays with this trope, making sloppy programming of damage cap calculation a p1 major plot point. In a weird case of parodying, Adventurers! features (mostly in the final battle sequences) a cap of 9999, with better attacks basing themselves on doing more hits than just 1. The interesting part is that two characters actually break this cap: a deity turned into a summon (99,999) and a powered-up Spybot, who had been never really been known for his combat skills. The most interesting part: the latter's damage is achieved by a series of melee attacks (each hit goes to 15000 or something). Although he was flying and rocket boosted, this unnamed attack beats many attacks that were prepared for turns. Also, in an interesting metafictional example, the comic number reaches # 999 when the heroes reach the final boss and stays at that for the rest of the comic. Damage caps usually come into play in Captain SNES whenever characters enter into a world with a JRPG system, mainly because Alex is obsessive enough to have leveled his characters as far as they will go. In one particularly interesting example; a Sorrow-possessed Lucca manages to break both her usual health cap (going from 999/999 to 0000/0000), and Final Fantasy IV's damage cap. However, she doesn't go past 9999 by going into five digits, she does it by using four digits... in base sixteen! Lucca Lampshades this in a few comics: "But I did more damage to you than is even possible!" When she scans him after the lampshade, he's short of his maximum health by that exact amount. Many Game Shows put limits on how much contestants can win and/or how long they can stay champion before retiring. See Game Show Winnings Cap. Wheel of Fortune ran into this when they got a contestant who won more than $100 000 (this was when winners got to come back). Only the last 5 digits fit on the electronic board, prompting the production team to draw a "1" on a piece of paper and hand it to Sajak so he could hold it up next to the other digits. Press Your Luck gives a similar example that may qualify as an aversion. The score displays for the contestants could only fit six characters: one for the dollar sign and five for the digits. When Michael Larson broke the $100,000 barrier in his infamous performance, the score display just showed the number without the dollar sign, i.e., "110237" instead of "$110237". The Price Is Right also had a cap on the display board for the one bid games. There was only enough room for a dollar sign and 4 digits, which wasn't a problem until some contestants wanted to gain attention by making bids in the tens of thousands, hundreds of thousands, or even millions. When the display boards were upgraded to run with more current technology, contestants that make ridiculous bids can have their bids fit on the board. Many laws of chemistry, physics, and biology define caps such as the speed of light ("Nothing can go faster than light"), terminal velocity ("A given object can't fall faster than this speed in a given substance at a given density"), and carrying capacity ("An ecosystem cannot support more than this number of organisms"). There are also things like the low limit of reaction speed (at some point kinetic effects define what's going on less than quantum effects) - which is the main reason why long-term cryogenic anabiosis is left to the realm of moderately-hard SF. 32-bit time variables on Unix-like systems will roll over in a few decades unless they are changed to 64-bit variables. They store the current date and time as seconds since January 1, 1970 at midnight. The number of seconds will go over 2^31-1 on January 19, 2038. ↑ With right-justified displays, usually the program starts at the rightmost digit and works leftwards. It divides the value by 10, writes the remainder, and moves left, repeating until it either has a value less than 10 or is at the leftmost position, in which case it simply writes whatever value it has left. Stored somewhere in a contiguous memory array are images of the digits "0" through "9"; to draw each digit, it starts at the "0", skips forward as many images as the digit it's supposed to draw, and draws the image it lands on. In the case of the leftmost digit, it assumes the value should be 9 or less; if it's actually 10 or more, the computer keeps counting past the 9, interprets whatever it lands on as image data, and draws that. Some games have more font data for the alphabet after the digits; in these cases, overflowing a counter that's supposed to cap at (for example) 999 will usually display "A00" for 1000, "B00" for 1100, and so on. Programs based on ASCII may use ":00"; a Y2K bug in WordPerfect does this. ↑ Due to the data storage system, this is the most damage any single attack in the game can deal. ↑ For those who don't want to work out the hexadecimal notation, "D6DB" comes out to 55003 points of damage. This page was last edited on 14 September 2018, at 22:09.